Following on the heels of the limited-time price drop from Motorola, Republic Wireless has slashed the cost of its Moto X (2014). Effective immediately, the Android smartphone can be purchased for $300, a drop of $50 from the normal cost. If interested in grabbing the Moto X, you’ll find the black and white models offered in 16GB capacities. The 32GB, fully customized model can be had in any color or design you might like with a $350 sticker. But, thanks to a mail-in rebate, you’ll be able to save $50 here, too. Republic Wireless offers rate plans ranging from $5 – $40 per month and each includes unlimited talk and text. 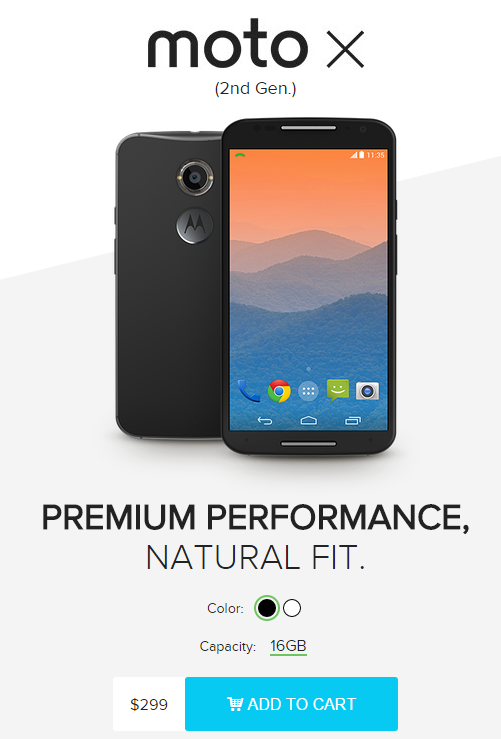 The post Republic Wireless offering Moto X (2014) for $300 appeared first on AndroidGuys.